Firm: Gray, Ritter & Graham, P.C. 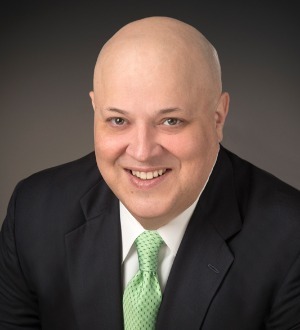 M. Graham Dobbs graduated with honors from Saint Louis University School of Law in 2000, where he served as a Student Editor of the Journal of Health and Hospital Law, was a member of the Health Law Association, and completed the school’s nationally recognized Health Law Certificate program. Mr. Dobbs also received an Academic Achievement Award in Evidence, and served as an intern at the U.S. District Court, Eastern District of Missouri. He obtained his BSN, nursing undergraduate degree, from Barnes College in St. Louis, graduating with highest honors. During nursing school, he was a member of the Nursing Honor Society, and was Vice President and President of the Student Government Association at Barnes College. During Mr. Dobbs’ nursing career, he principally worked in cardiac acute care and intensive care areas at Barnes Hospital. He brings his knowledge of the nursing field to bear in the complex medical cases handled by Gray, Ritter & Graham. In 2015, he was elected to the Executive Committee of The Lawyers Association of St. Louis. He has been a member of the Membership Committee of the Bar Association of Metropolitan St. Louis since 2014. Mr. Dobbs is a member of The Missouri Bar and The Illinois Bar. He is also admitted to the U.S. District Court, Eastern District of Missouri, and has appeared before the U.S. Court of Appeals for the Eighth Circuit. He is a member of the Missouri Association of Trial Attorneys, the Bar Association of Metropolitan St. Louis, and a Fellow of the Bar Association of Metropolitan St. Louis Foundation.